A new study by scientists with the US Department of Agriculture (USDA) Forest Service suggests that what people tweet in areas affected by wildfire can be a reliable indicator of air quality conditions. 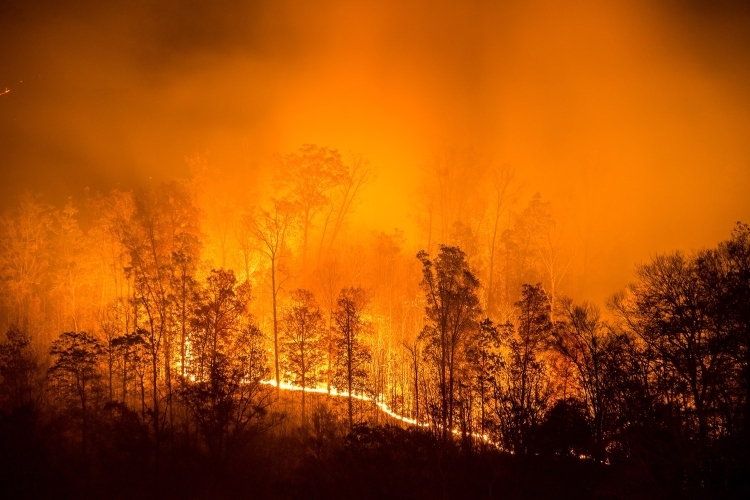 Tweets originating in California during the state’s 2015 wildfire season suggested that social media could improve predictions of air quality impacts from smoke resulting from wildfires and had the potential to improve rescue and relief efforts, according to the new research published recently by the International Conference on Social Media and Society. Whether it is caused by wildfire or prescribed fire, smoke can have serious health ramifications, including aggravating respiratory and cardiovascular conditions, Xinhua reported. “With wildfire seasons becoming longer and more people living in fire-prone areas, smoke is becoming a greater public health concern,” researcher Sonya Sachdeva of the Forest Service’s Northern Research Station said. “Models for predicting the extent and range of impact of smoke dispersion from wildfire events can be a critical tool in safeguarding public health, and we’re finding that information people share in social media has great potential for improving those models,” Sachdeva said. In a previous study, Sachdeva looked at 700 tweets related to the King Fire in California and found that they were a reliable predictor of air quality related to that fire. In the new research, Sachdeva and Sarah McCaffrey of the Rocky Mountain Research Station evaluated 39,000 tweets that included the names of California’s most destructive wildfires of the 2015 season. Researchers combined ground-based monitoring of fine particulate air pollution levels obtained from the Environmental Protection Agency (EPA) AirData air quality database with a topic model mapping the content of citizens’ tweets. The research also found that Twitter offered insight into people’s perspective on wildfire. When people were near a fire, their tweets were often focused on the status of the firefighting effort, concern for firefighters, and the status of evacuation orders. Further away, people were interested in the cause of fire. The study suggested that social media could help predict air quality in remote areas that are not monitored for air quality, and that tweets could also have the potential in linking people who need help with people who have the resources to offer assistance.